Laid down, 7 June 1944 at Jeffersonville Boat & Machine Co., Jeffersonville, IN. 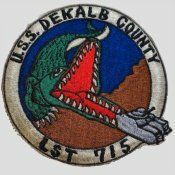 Custody transferred to MARAD for lay up in the National Defense Reserve Fleet, Suisun Bay CA. 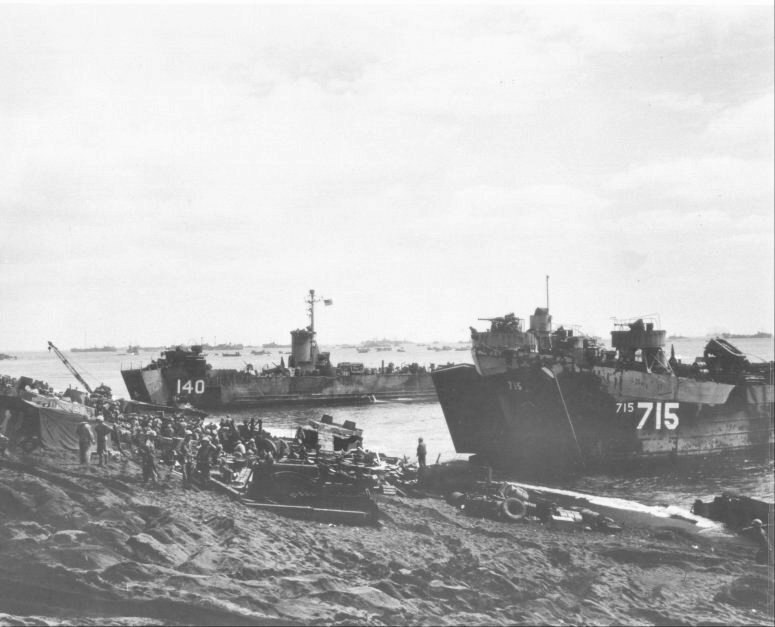 78k USS LST-715 at Iwo Jima, Green Beach, Volcano Islands, 25 February 1945. 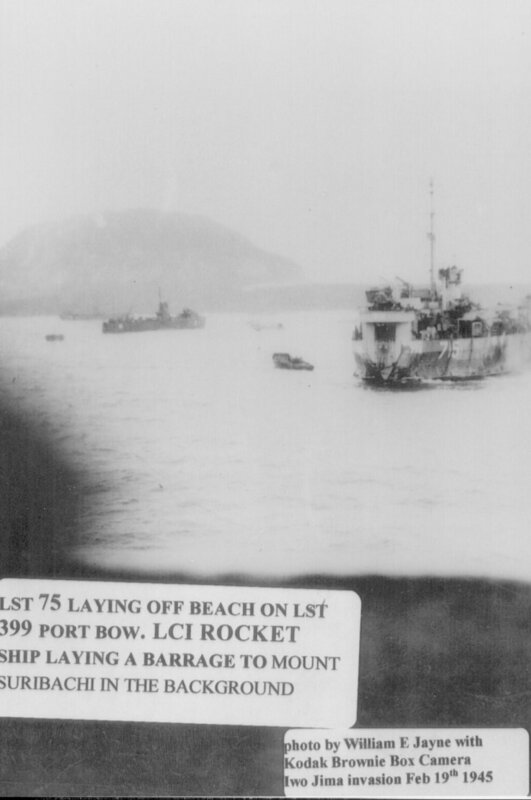 The one lone LCI that is identifiable is USS LCI(L)-1077. 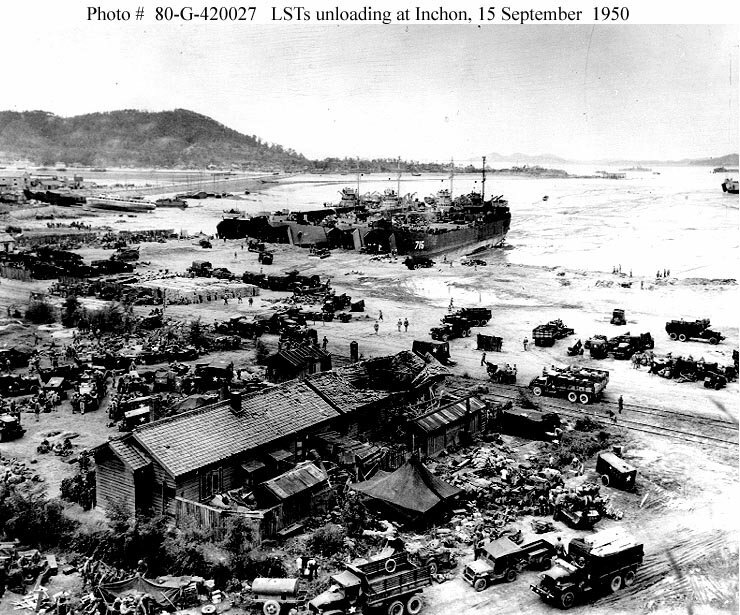 164k Inchon Invasion, September 1950. 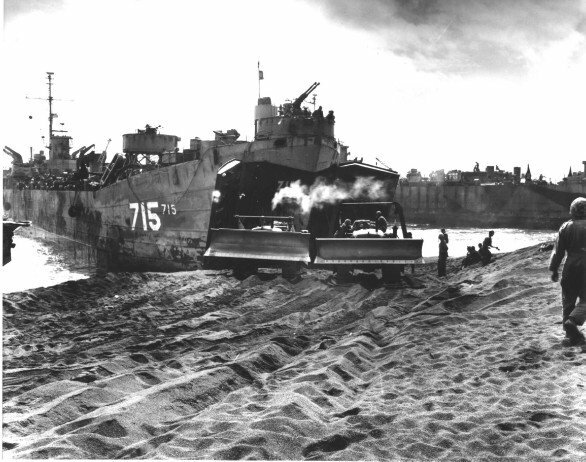 Four LSTs unload men and equipment while "high and dry" at low tide on Inchon's Red Beach, 16 September 1950, the day after the initial landings there. 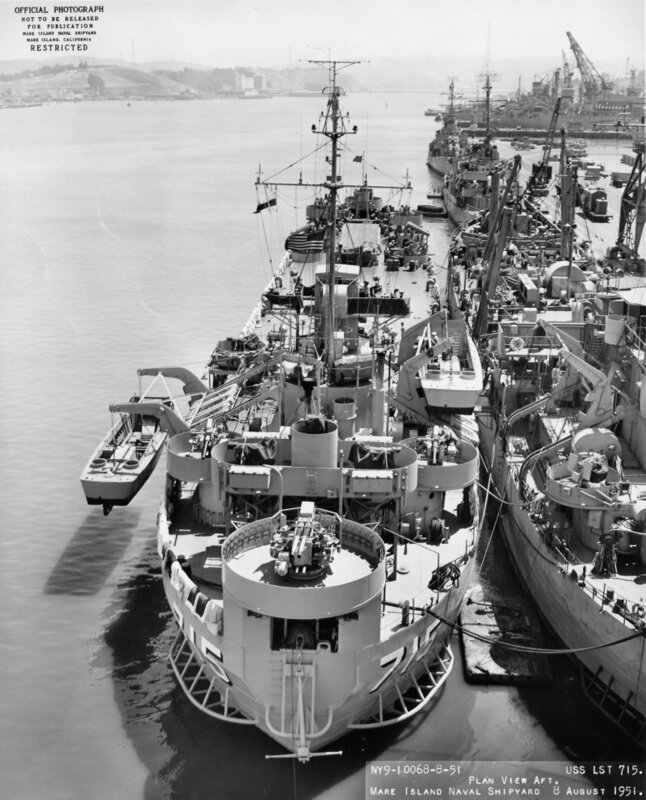 USS LST-715 is on the right end of this group, which also includes; USS LST-611 and USS LST-845 along with one other. 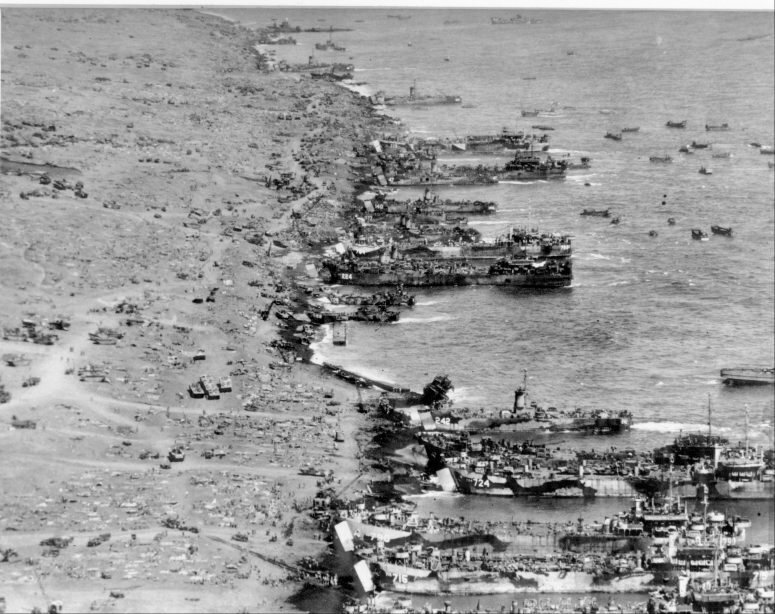 Another LST is beached on the tidal mud flats at the extreme right. 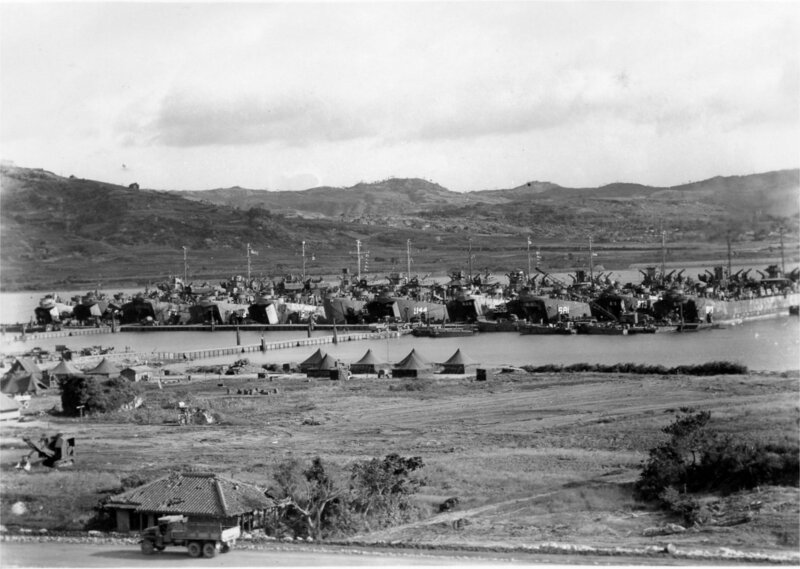 Note bombardment damage to the building in center foreground, many trucks at work, Wolmi-Do island in the left background and the causeway connecting the island to Inchon. Ship in the far distance, just beyond the right end of Wolmi-Do, is USS Lyman K. Swenson (DD-729). 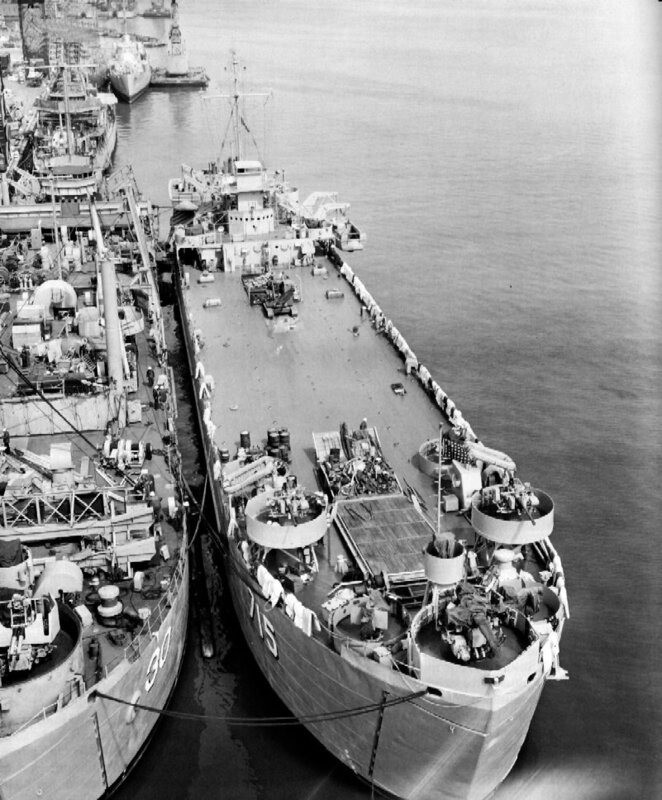 188k Bow view of USS LST-715 at Mare Island Naval Shipyard, circa August 8, 1951, alongside of USS Askari (ARL-30). 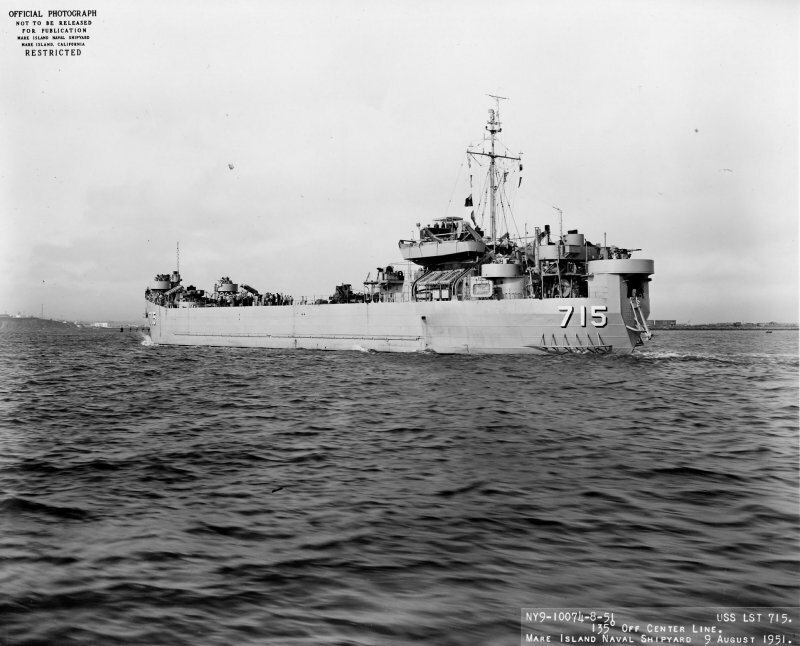 LST-715 was under repairs at Mare Island from 5 May to 9 August 1951. Visible just abaft the forward gun tubs is the elevator that transported vehicles carried externally, on the upper deck, to the tank deck so that they could be off loaded over the bow ramp. The structure abaft it is a short ramp leading to the elevator, opened up to reveal stowage between deck and ramp. Landing craft in the davits are LCVPs. 177k Stern view of USS LST-715 at Mare Island Naval Shipyard, 9 August 1951. Forward of LST-715 is USS Miller (DD-535) and USS Lewis Hancock (DD-675) while USS Askari (ARL-30) is inboard of LST-715. 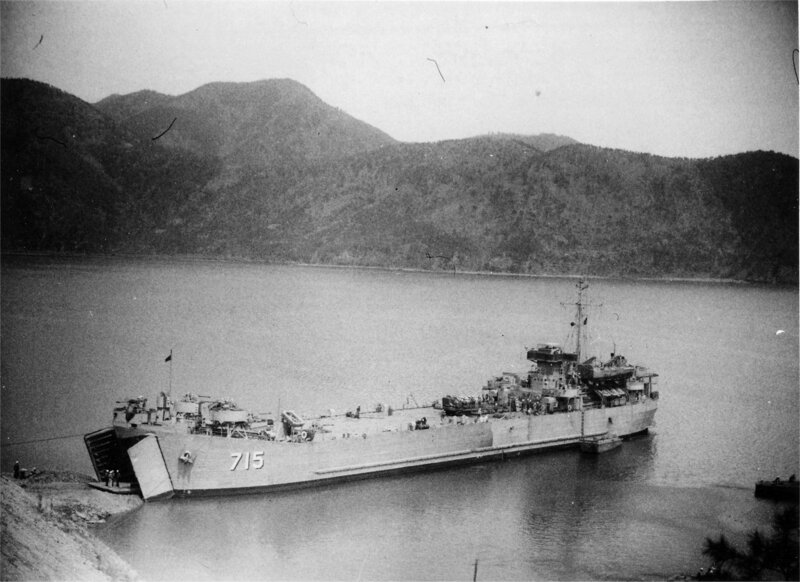 USS LST-715 was under repairs at Mare Island from 5 May to 9 August 1951. 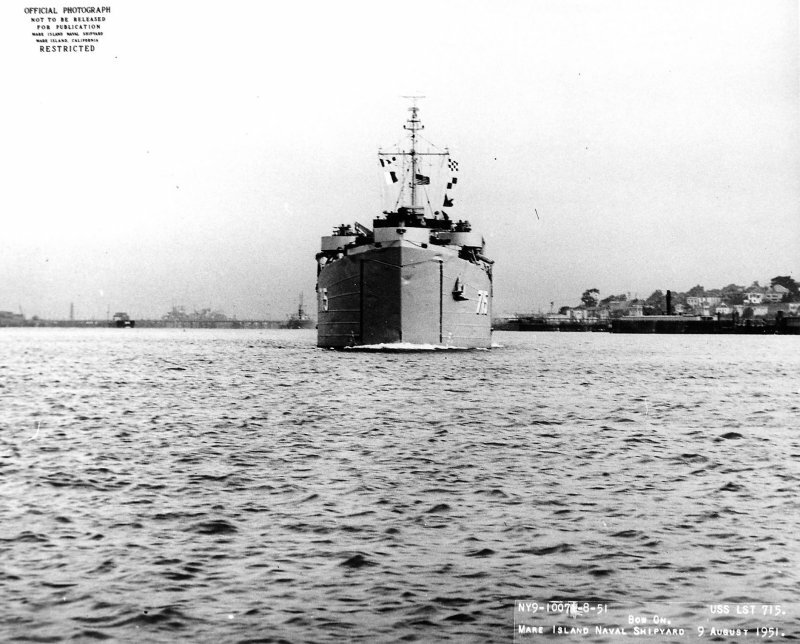 109k Bow on view of USS LST-715 departing Mare Island Naval Shipyard, 9 August 1951. 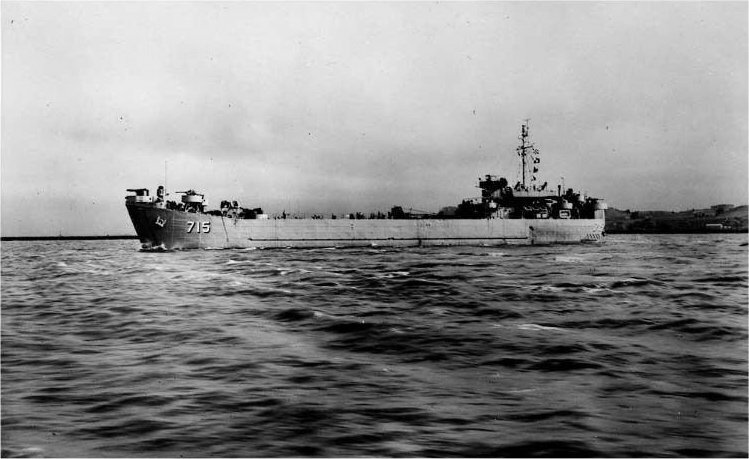 87k Aft quarter view of USS LST-715 off Mare Island Naval Shipyard, 9 August 1951.